Helping people has always been important to me. I want to help people to experience the benefits of a planner that is ingeniously simple. There is a whole world of people finding simple things difficult because they have been overcomplicated, that needs to change faster than I am managing it so far. 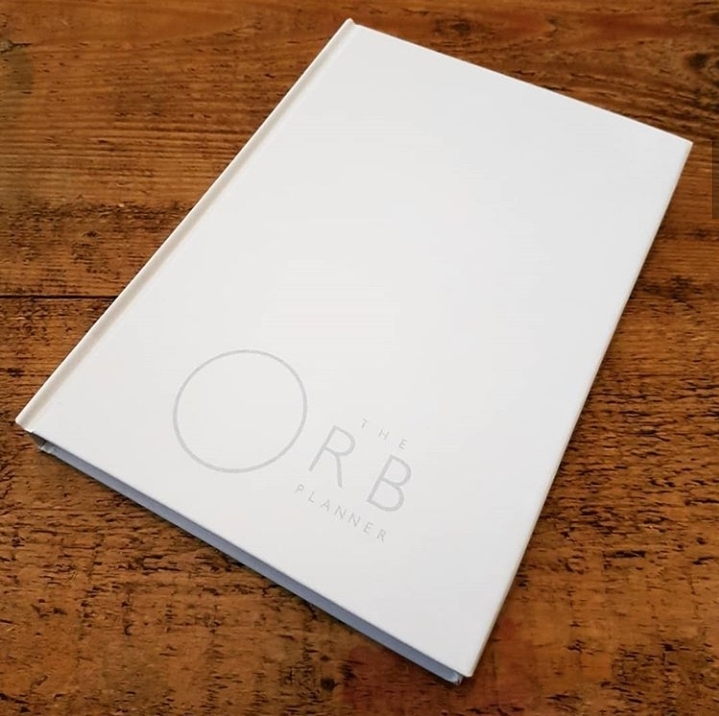 The Orb Planner was made with two subjects in mind; my existing organisation and planning clients and my Dyspraxic 11-year-old son, basically, the most disorganised people I know. had tried planners but been confused by them. were afraid to even try because of the fear of getting it wrong. didn't want to hand over control of their busy businesses or lives to a book. didn't trust their existing diaries or planners. A better work/life balance (despite huge belief that this doesn't exist). The aim of this whole thing is to teach the world what they can do, for themselves. The Orb Planner takes my 6 step Planning Circle method and nurtures it. It envelopes it's owner and encourages a repetitive, easy way to plan and remember what needs to be done, where and when. The Planning Circle diagram is in the front of the planner so that they are always together. My son's Dyspraxia makes him forgetful, clumsy, terrible at timekeeping and time management. He can't deal with lots of small spaces and needs to know exactly what is happening and when so that he doesn't become stressed or concerned about things going wrong. There was no planner I could find that would help my child to feel comfortable planning his time ahead, let alone one that would make it less frightening for him to do so. So I made one. There are tiny half-hour spaces for those who need to know every detail of their day but are printed ideally for those who need to write their tasks further apart over multiple half-hour blocks. There are entire pages to support the way that many people need to empty the contents of their brain in a 'dome dump' before then using another huge page to move those tasks around and prioritise them. There is a notes section on each weekly spread for little info bytes from everyone, or memory joggers for those who really need that. There are migration boxes for tasks we don't complete. It's not just ok to move things if you don't quite get them all done. It's not something to worry about. It's supposed to happen...for a while. And The Planning Circle teaches to only do this twice.  So that prolific procrastinators cannot dodge them, frightened planners cannot hide from them, Dyspraxics can't forget they moved them or lose where they wrote them. 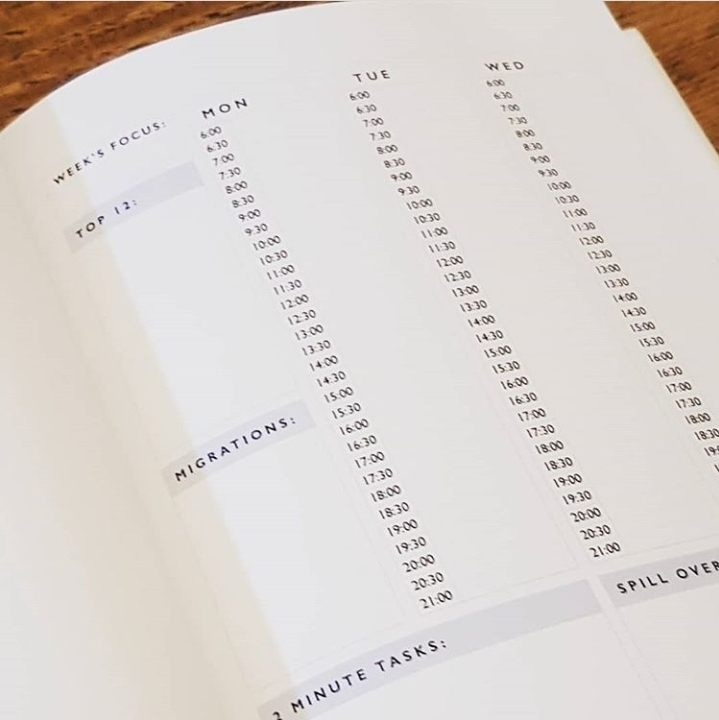 This planner is clever, not unlike every single person who uses it. When I say it's for everyone, I mean almost everyone, but even so...what a huge amount of people! If you struggle to plan, it's for you. If you love to plan, it's for you. If you struggle to stick to plans, it's for you. If you tend to double book, it's for you. If you forget things a lot, it's for you. If you struggle to follow lots of rules, its for you. If you take a little longer to learn things, it's for you. If you thrive on repetition, it's for you. If you like to change things up, it's for you. If you want to gain more from your time, it's for you. If you're not busy enough, it's for you. If you're too busy, it's for you. .....I could probably go on all day. 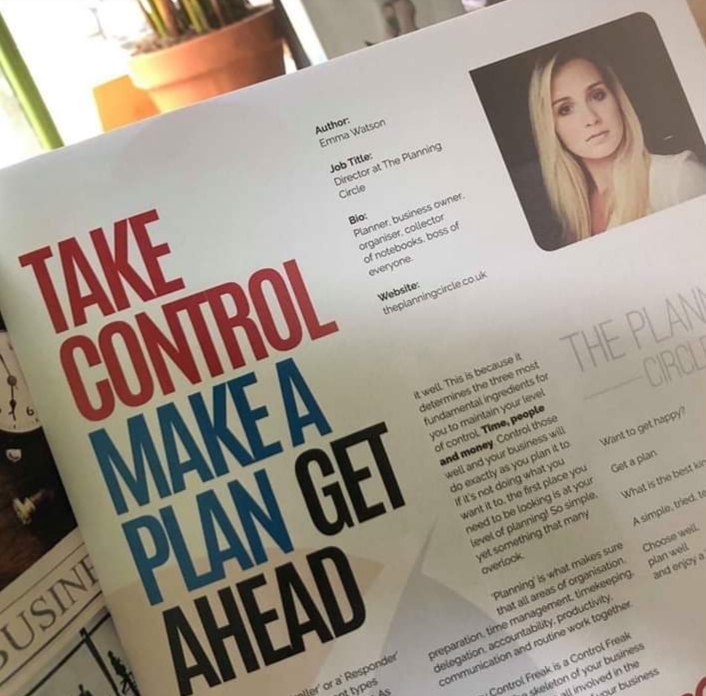 One of the most important things to know about this Planner and about me, Emma, It's 'designer and creator', is that it has made me. Completely. I have always been a good mum and I have always been a good wife, but I have never had something that was just mine, that I made, that had potential, sold well straight away, made people happy, changed lives, excited people and made them believe; in themselves and me, and I have started to believe in myself, really believe, like this is me and my impact on the world. I can make a change happen. I really can and I will. I'd love you to believe in me and help me too. I'd love to know that the money I have invested getting it this far is going to mean something amazing. I'd love to get them over the final hurdle that is the first print run. 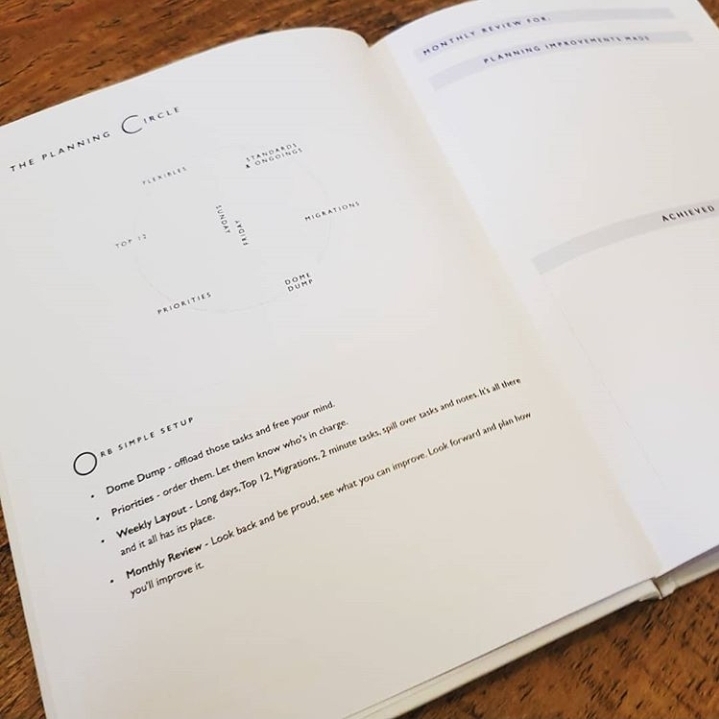 To create the very first planners that I can hold in my hand and pass into yours, those who have pre-ordered right at the start and those huge stores who will be approached in the hope that they will want to stock them. This whole thing has been a fantastic project so far. Thank you for even your consideration, if you choose to get involved, if you can't but love the idea. Thank you all from the bottom of my heart. 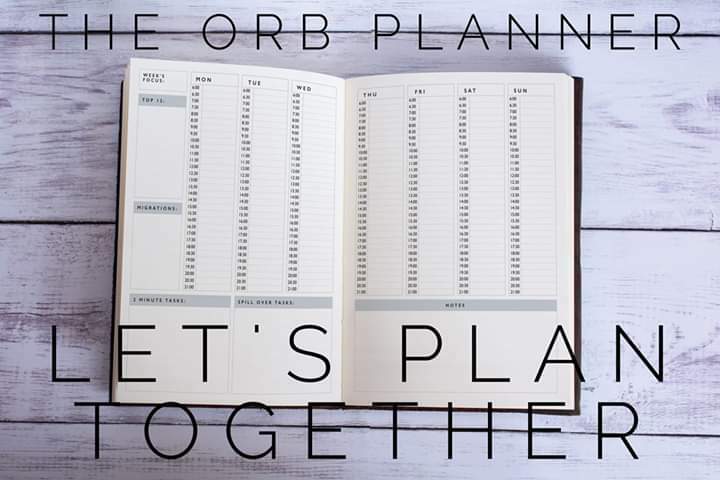 The Orb Planner, The Planning Circle method and my support via email or facebook if you need it for the first four weeks of planning. To help you find your perfect fit for both the planner and the method. Usually retailing 4 weekly support at £75. The Planning Circle DIY Downloadable Pack is my planning method. Six steps, one week at a time plus full instructions and guide, teaching you how to plan efficiently and release the burdens from your mind each Friday. The Orb Planner itself. Beautifully printed and presented in all its glory. The planner that moves the goalposts for so many. In hardback copy and Limited Edition colours. Cornflower Blue or Earl Grey. With The Planning Circle diagram at the front to help you plan your life in a focussed and functionable way. The Orb Planner, The Planning Circle and 4 weeks of daily accountability for your plans and tasks. Three daily check-ins to help keep you on task, avoid procrastination and create some real changes in your life, work and time freedom. 4 weeks accountability usually retailing at £99. 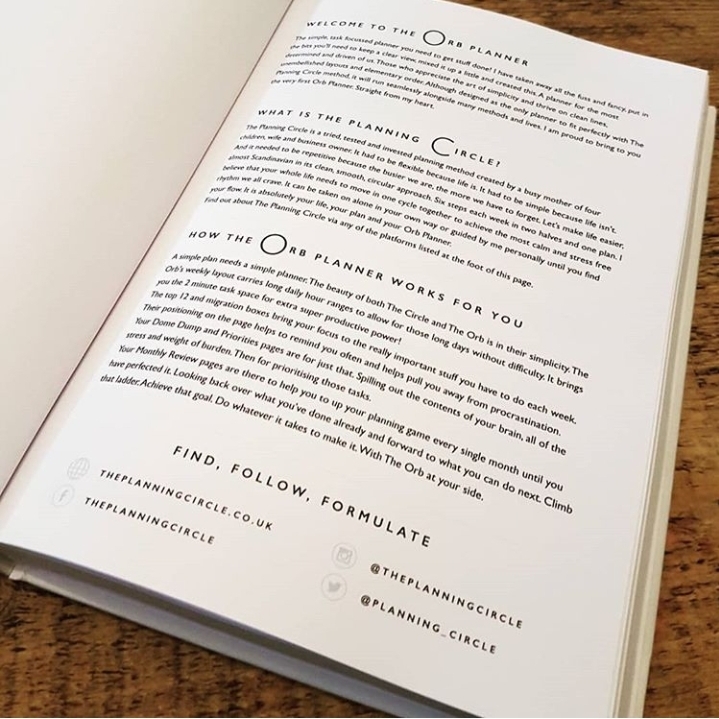 The Orb Planner, The Planning Circle and a six month accountability package to keep you on track, follow you through any bigger plans you have and be there to change up those plans and actions when necessary.